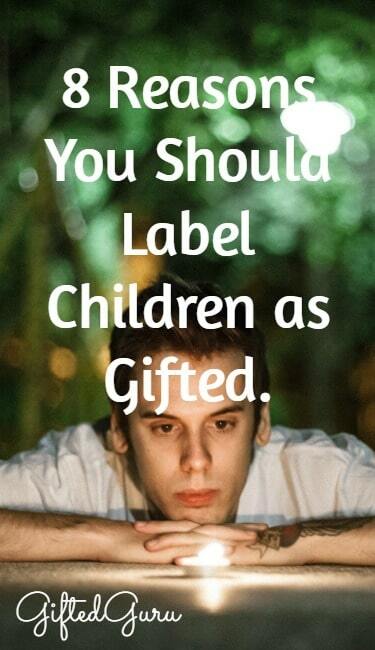 You should label kids as gifted if the label fits. I don’t find these reasons compelling, and I will share eight reasons why (in no particular order). Reason 1: It allows them to receive academic support and services. In most cases, it is school systems labeling kids as gifted, and they do so to be able to serve kids with different needs from typical learners. In schools, “gifted” is a service model, not an identity. You can be “gifted” in one district and not another because of the criteria for receiving that service varies. This ambiguity disturbs some people, who want to see their child as either gifted or not, yet this isn’t how it works in schools. If we don’t allow the student to be identified for the services the school offers for them, we deny the child appropriate educational placement. To me, it is no different than denying a child with dyslexia (who may also be gifted, of course) the “label” dyslexia. You’re cutting off your nose to spite your face. Refusal of the label denies services. Reason 2: Saying you don’t want a child “labeled” is like saying you don’t want a child to have a hair color. Everyone is labeled. The only choice is whether we want more formal labels as opposed to only the informal labels applied to us every single day. You can labeled as tall, short, fat, thin, belonging to a certain ethnic or racial group, having a particular facial structure or feature, or a wide variety of other physical attributes. You can also be labeled as a reader, an artist, an athlete, a parent, a sibling, a grandchild, a Christian, and on and on. Labels are unavoidable, and I’m not sure why we’re so against them. Perhaps it’s because we think it will narrow the way the person sees him- or herself or the way others will see him/her. I have read many opinion pieces that advocate not labeling people, yet I think that is silly. You can’t help but label people. It’s in our DNA. You can’t not notice someone behaving rudely. You can’t not notice that someone is 7’4″ tall. The “label” is simply the reticular activating system sending you a message: tall person at three o’clock. Labels are how we make sense of our world. Obviously, you don’t want the child seen as only any one label, but rather as a whole person. That doesn’t apply to just the label of “gifted,” however, and we will not prevent a child’s being labeled as anything because we don’t allow them to be labeled as this one thing. Reason 3: The kids didn’t choose the name. Some people argue against the term “gifted,” believing it implies superiority or arrogance. I believe the opposite. To me, the word “gifted” as it applies to cognition is a constant reminder that this was a gift, not earned. I think it’s humility inducing, not arrogance producing. No matter which way you look at it, however, the child did not choose that term, and it seems patently unfair to say that children are responsible for the distaste of a word they didn’t have any voice in choosing. Additionally, it doesn’t really matter what word you use – because of anti-intellectualism bias, any word used to indicate cognitive ability would take on these same connotations. Reason 4: Giftedness is no guarantee. It’s potential; not promise. You misunderstood, and in your misunderstanding, you harmed your child. I know you didn’t mean to, but you did. Giftedness means that you have ability. Like a seed, it is a potential, but it must be nourished, cared for, fertilized, and have sun in order to grow. It is the responsibility of parents and educators of gifted kids to explain that being identified as gifted is not a “get out of working hard free” card. We must teach them the mundanity of excellence. The label is not to blame: we are. Reason 5: Gifted kids have social and emotional needs as well as cognitive needs. Even a quick perusal through NAGC’s list of common traits of gifted kids will reveal that only a fraction of them are cognitive. These kids feel differently, as well as think differently. 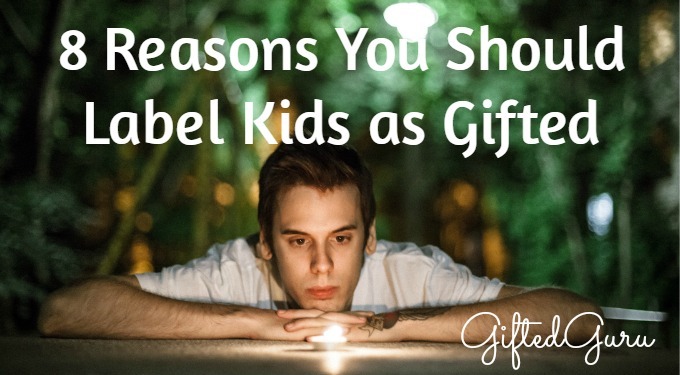 If they don’t get labeled as gifted, they may not get the understanding they need. Of course, being identified as gifted is certainly no guarantee that they will get the understanding they need because the same ignorance that says gifted kids don’t need different educational resources leads to believing they don’t have different social/emotional needs as well. Reason 6: Gifted doesn’t just mean thinking better; it means thinking differently. To me, this is the number one biggest misconception about gifted kids. People as a whole seem to think that gifted just means “smart” – like you think better than other people. The danger of this thinking leads to things like Ian Byrd wrote so eloquently of on his website. It also leads to the idea that they will make really good tutors to other kids because they are like Dr. Pepper with extra caffeine. Gifted kids think qualitatively different from the norm. They tend to be divergent thinkers, finding the showing of work to be nearly impossible, the explaining of reasoning overly burdensome, and the working within a group virtually unbearable. All of these dynamics can (and should) be addressed, yet at their heart lies this truth: when you are gifted, it’s not just that your brain is efficient. Your brain is divergent. They need challenge in school in a way that is very, very different from just more work. Reason 7: Gifted kids deserve all of the information about themselves. My mother was adopted, but never told until she found out herself as an adult. This withholding of information from her was excessively and unnecessarily painful. Children deserve the truth about themselves. Would you not tell a child he/she had Rh- blood? Would you not tell a child he/she was Italian? It’s part of identity construction to know who you are, your strengths and weaknesses, your challenges and opportunities. Parents then provide context for these aspects of identity so that they do not become all-defining. When you get a name for the apartness so many gifted children feel, you can make more sense of those feelings. Reason 8: It allows parents to get support, too. Parenting gifted children is not for the faint of heart. This game is not for amateurs. Don’t try this at home, folks. When a child is labeled as gifted, at least you have something to Google. Maybe you’ll get lucky and you’ll find NAGC or your state gifted organization or a parenting Facebook group or some other resource that will help you navigate Giftedland. Parents of gifted children can feel isolated and even attacked. It is not uncommon to find defensive parents of GT kids – that’s a natural response to being marginalized for long periods of time. When we label a child as gifted, we actually identify an entire family as needing support, encouragement, understanding, and resources. When we refuse to identify kids as gifted, we deny not only the child, but also the parents of the services and support they might otherwise receive. When I was in elementary school, I was identified as gifted using a Stanford-Binet LM. The day of that test was the best day of school I’d ever had. The experience alone was powerful. I remember the dawning realization in the evaluator’s eyes that I was thinking differently from others. For the very, very first time, I felt that my brain was an asset. I was put in a special class with others who thought like me. It was the school equivalent of coming home. I was also a candy-striper, volunteering hundreds of hours at a local hospital. I also played soccer. I also babysat and earned money for the things I wanted. I was not just gifted, but it was a part of who I was. I had to study for the grades I earned. I worked hard. I know how hard you have to work to do well, even if you are gifted. The grade in AP English did not fall from the sky. My successes did not spring fully formed like the goddess Athena. I’ve struggled with many of the social and emotional traits of gifted people (Unfortunately, they forgot to “ungift” me when I graduated from high school, so I’m still struggling). I’ve lost friends because of undesirable traits I didn’t work hard enough to adjust. I’ve left jobs because I still struggle to work in groups with people who don’t care about their work or won’t pull their weight (there’s a special place in you-know-where). Adding the idea that I shouldn’t have even had the small consolation of knowing where all of this comes from is insult to injury, and that’s what the anti-labelers are saying. They’re saying that kids don’t deserve to know who they are. And that’s why you should label kids as gifted. Gifted is different, not better. Labeling is identification and information, not destiny. The name implies unmerited, not arrogance. The knowledge of it is power, not an easy path. This is such a fabulous list – something that should be published widely. I also love how you noted that: “the word “gifted” as it applies to cognition is a constant reminder that this was a gift, not earned.” And that it evokes humility rather than arrogance when we appreciate that it is not any more the child’s “fault” than his/her height, eye color, etc. Thanks for such a great article! Good to see this on the list. Just an observation….when I was growing up you were not labeled gifted as if it was part of who you were, you were described commonly as ‘having a gift’. I think it might be a more apt description. Excellent and AMEN!! Only thing I would add is that the label of “gifted” can offer you opportunities! Whether or not you accept them is up to you but sometimes the label is enough for exposure to new activities, places, and opportunities! I am president of a school district parent group and the first thing we tell other parents is “You are not alone.” It is the one thing we hear over and over, year after year! Great article – I love the reference to giftedness is ability that needs to be nourished like a seed. Wish more people in education understood this. Great article. I talk with parents all the time who are unsure of having their child identified. It’s their choice, but their child will miss out on the supports that they will likely need. 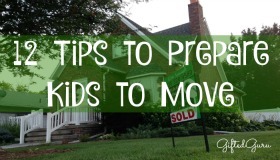 You never know what you’ll need in the future, especially when the child is young. There is so much misunderstanding. When I tell parents that lots of gifted kids are B-students they are shocked. These kids think differently and not everything comes easy. In fact, not much comes easy…. In fact, not much comes easy…great point! I have a similar story and as an adult I still think differently than my peers at work. I guess I thought it would go away when I got older. I like how you said – differently- not better. I don’t find things came easier but as I got older I realized I thought differently. It’s like I see possibilities and solutions others don’t. And for some reason I’m more comfortable with a slightly messy work area – if I need to create. Sometimes I’m better off keeping my ideas to myself. Thanks for your story. Oh, I so related to your comment, especially the “Sometimes I’m better off keeping my ideas to myself.” Oh, that hurt my heart with recognition. Great article. My 9 yo knows that he is gifted. He likes to tell people, I usually get embarrassed! BUT he knows why he is different and that is what is important. I love it! The embarrassment you feel is the result of anti-intellectualism bias. We only feel comfortable when our kids say negative things about themselves, and how sad is that? That totally makes sense! I never looked at it that way! Thank you for that insight. I love this article!! Great points. What an excellent piece! 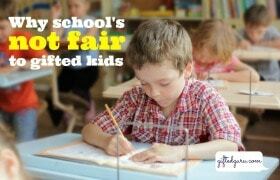 It’s doubly complicated when your child is gifted and learning disabled, or 2E. I always knew he was both, but what is “gifted”? He doesn’t do well on standardized tests because of his LD, but as a gifted mom, I know a gifted kid when I see one, and there really aren’t tests for his gifts that a school staffer could administer. I wrote about labels, too, in a blog piece on being an Alphabet Soup Mom. There ARE advantages to labels, for sure. So your piece really made me think. I didn’t fight for a gifted label, but my son does know he is gifted, and learning disabled, and 2E, and that helps him reconcile all of it. Thanks Lisa, As always you are awesome! Thank you for being such a great advocate for gifted needs! And I, too, think we need to talk about it more, identify it, call gifted gifted, and get on with the work of supporting these individuals and families to build on the strengths of their differences while also modulating the challenges. Hmm, I think it’s good to identify talents in children, I would also love to see intellectual strengths held in as high esteem as all the other talents. Personally I think the word gifted is held negativity (in addition to the anti-intellectual thing) because the word gifted doesn’t denote intelligence at all. It’s too broad a term, other talents are gifts too and so I think at least some of the antagonism comes from the term taking it a way from being used in those kids. Really I don’t know why who ever coined the term didn’t come out with something more specific. Thats my complaint about the actual word. But then I tend to be overly specific sometimes. Growing up I only experienced the label learning disability, I wonder if my experience would have changed if I had had gifted as a label too. Then again I found more amusement from people in my AP classes finding out I was also special ed than you would think. I mention the use of the word “gifted.” I believe that no matter what they called it, it would pick up a negative connotation. We’d have a problem with any word used to indicate high ability. I have mixed feelings about this. All kids should get differentiated teaching, is one. Second is that despite the best intention of “using the label” in the most positive way possible – labels are labels. Gifted means gifted and other kinds not in the program know what it connotes. Do kids really get that to be labeled gifted doesn’t mean “you’re smart”? It should mean “you think differently and need to work at reaching your potential, we’ll help you with that”. But shouldn’t that apply to all students? Don’t teachers try to help all students cultivate their curiosity? I got labeled early and continue to work towards what Carol Dweck calls the “growth mindset”. I grew up thinking I was smart and talented. I cruised, until I couldn’t cruise anymore, somewhere around first year university. Being labeled didn’t teach me how to think, it didn’t praise me for working hard, it didn’t help me, in the long run. Maybe the program was badly designed, or maybe it’s just a bad idea and it’s teaching – for all kids in all grades – that needs to change. My young son is going to be smart, and I plan on praising his effort and his curiosity, not his brains or his talent. After 5 decades of being both a professional un this field, and a parent/grandparent, this article puts the debate “to lable or not label” clearly OUT THERE. The pont I would emphasize as being critical to the discussion is found (first) in your Reason #7. (In my words) the term ‘gifted’ does not and should not DEFINE who you are as a person anymore than being left-handed would. It is a controversial term used mostly by educators and psychologists to describe how your brain functions. It does not describe you in your totality. And, (secondly) as you so clearly state in Reason #1, it allows us to understand that those differences in brain function NEED different approaches to learning about life, cognitively, emotionally, and socially. EVERY child deserves this ‘personalized’, ‘individualized’ learning plan, including gifted children. Thank you for sharing these important insights. Gifted kids do not have a magic wands to overachieve all the time. Do not expect them. Gifted needs to learn from failure, Need to learn to overcome problems, needs to find a likemind friends, need to develop social skill, and leadership skill. They need to find the edge of their comfort zone so they can grow – intellectually and emotionally. I am a Gifted Ed director and a parent of gifted kids. I love this article, and all your thinking around giftedness and have heard you speak a few times at either our director meeting or our state conference. You always have a such a powerful voice, so I was wondering if you could help me with my most recent battle. This year particularly, I am sharing this article as a statement against the ever present Jo Boaler Rethinking Giftedness video. This video has recently been shared around my district, teacher to teacher, to support the position of not labeling students as gifted. I am curious if you have anymore resources that could be powerful tools against this particular position?